Registration for ESL Unlimited 0 contest on 7/13/2019 is now open. Click http://www.flyesl.org/Contest.aspx?contestid=307 to register. Registration for RISC Great Pumpkin ALES 3 contest on 10/5/2019 is now open. Click http://www.flyesl.org/Contest.aspx?contestid=319 to register. Registration for RISC Unlimited 0 contest on 8/24/2019 is now open. Click http://www.flyesl.org/Contest.aspx?contestid=312 to register. Registration for SKSS Unlimited TD 0 contest on 6/8/2019 is now open. Click http://flyesl.org/Contest.aspx?contestid=302 to register. Registration for LISF ALES 3 contest on 5/4/2019 is now open. Click http://www.flyesl.org/Contest.aspx?contestid=299 to register. Registration for LISF Unlimited 0 contest on 6/29/2019 is now open. Click http://www.flyesl.org/Contest.aspx?contestid=305 to register. Registration for Horsefeathers-1 0 contest on 5/18/2019 is now open. Click http://www.flyesl.org/Contest.aspx?contestid=300 to register. Registration for RISC Red Rooster F5J 3 contest on 6/1/2019 is now open. Click http://www.flyesl.org/Contest.aspx?contestid=301 to register. Registration for 2019 Polecat ALES 3 contest on 6/15/2019 is now open. Click http://flyesl.org/Contest.aspx?contestid=303 to register. Registration for Concord NH Skyhawks ALES 3 contest on 8/17/2019 is now open. Click http://www.flyesl.org/Contest.aspx?contestid=311 to register. RISC Great Pumpkin ALES will now be held from 10/5/2019 to 10/6/2019. Click http://www.flyesl.org/Contest.aspx?contestid=319 to review your registration for this contest. Registration for ESL ALES @ Daniel Boone & ESL F5J @ Daniel Boone 3 contest on 7/5/2019 is now open. Click http://www.flyesl.org/Contest.aspx?contestid=306 to register. Registration for HRSF/BRASS-2 0 contest on 9/28/2019 is now open. Click http://www.flyesl.org/Contest.aspx?contestid=317 to register. Daniel Boone ALES/F5J will now be held from 7/5/2019 to 7/7/2019. Click http://www.flyesl.org/Contest.aspx?contestid=306 to review your registration for this contest. Registration for DESS East Coast Spring F5J Festival 3 contest on 4/6/2019 is now open. Click http://flyesl.org/Contest.aspx?contestid=297 to register. Registration for Lacolle International ALES/F5J 3 contest on 8/31/2019 is now open. Click http://www.flyesl.org/Contest.aspx?contestid=313 to register. Lacolle International ALES/F5J will now be held from 8/31/2019 to 9/2/2019. Click http://www.flyesl.org/Contest.aspx?contestid=313 to review your registration for this contest. LSF Soaring National Championships (Nats) will now be held from 7/31/2019 to 8/12/2019. Click http://www.flyesl.org/Contest.aspx?contestid=310 to review your registration for this contest. Registration for BRASS Unlimited 0 contest on 4/27/2019 is now open. Click http://www.flyesl.org/Contest.aspx?contestid=298 to register. Registration for BRASS F5J/ALES 3 contest on 6/22/2019 is now open. Click http://www.flyesl.org/Contest.aspx?contestid=304 to register. All scores have been posted for RISC Great Pumpkin ALES. Click http://flyesl.org/Contests/ContestResults.aspx?contestid=281 to view the results. All scores have been posted for ESL End of Season. Click http://flyesl.org/Contests/ContestResults.aspx?contestid=279 to view the results. All scores have been posted for BRASS-2. Click http://flyesl.com/Contests/ContestResults.aspx?contestid=278 to view the results. All scores have been posted for SKSS Blue Hen ALES Challenge. Click http://flyesl.com/Contests/ContestResults.aspx?contestid=286 to view the results. All scores have been posted for RISC Unlimited. Click http://www.flyesl.org/Contests/ContestResults.aspx?contestid=276 to view the results. Registration for East Coast Fall F5J Festival 3 contest on 11/3/2018 is now open. Click http://flyesl.org/Contest.aspx?contestid=296 to register. Registration for RISC Great Pumpkin ALES 3 contest on 10/13/2018 is now open. Click http://flyesl.org/Contest.aspx?contestid=281 to register. Registration for Horsefeathers-2 0 contest on 9/8/2018 is now open. Click http://www.flyesl.org/Contest.aspx?contestid=277 to register. All scores have been posted for CRRC ALES. Click http://www.flyesl.org/Contests/ContestResults.aspx?contestid=285 to view the results. All scores have been posted for NJSS Unlimited. Click http://www.flyesl.org/Contests/ContestResults.aspx?contestid=273 to view the results. All scores have been posted for RISC F5J. Click http://www.flyesl.org/Contests/ContestResults.aspx?contestid=287 to view the results. All scores have been posted for LISF Unlimited. Click http://www.flyesl.org/Contests/ContestResults.aspx?contestid=272 to view the results. All scores have been posted for SKSS Unlimited TD. Click http://www.flyesl.org/Contests/ContestResults.aspx?contestid=271 to view the results. Registration for CRRC Soar-In 0 contest on 8/4/2018 is now open. Click http://flyesl.org/Contest.aspx?contestid=275 to register. All scores have been posted for ESL #1 now at HorseFeathers. Click http://www.flyesl.org/Contests/ContestResults.aspx?contestid=270 to view the results. Registration for CRRC ALES 3 contest on 7/14/2018 is now open. Click http://flyesl.com/ContestRegistrationAdmin.aspx?contestid=285 to register. Registration for SKSS Blue Hen ALES Challenge 3 contest on 9/15/2018 is now open. Click http://flyesl.com/Contest.aspx?contestid=286 to register. All scores have been posted for BRASS Unlimited. Click http://www.flyesl.org/Contests/ContestResults.aspx?contestid=269 to view the results. All scores have been posted for LASS Polecat ALES. Click http://www.flyesl.org/Contests/ContestResults.aspx?contestid=249 to view the results. All scores have been posted for Horsefeathers-1. Click http://www.flyesl.org/Contests/ContestResults.aspx?contestid=268 to view the results. DESS East Coast Spring F5J Festival will now be held from 4/14/2018 to 4/15/2018. Click http://flyesl.org/Contest.aspx?contestid=290 to review your registration for this contest. Registration for RISC Unlimited 0 contest on 8/18/2018 is now open. Click http://www.flyesl.org/Contest.aspx?contestid=276 to register. Registration for NJSS Unlimited 0 contest on 7/7/2018 is now open. Click http://flyesl.org/Contest.aspx?contestid=273 to register. Registration for LISF Unlimited 0 contest on 6/23/2018 is now open. Click http://www.flyesl.org/Contest.aspx?contestid=272 to register. Registration for ESL End of Season 0 contest on 10/6/2018 is now open. Click http://www.flyesl.org/Contest.aspx?contestid=279 to register. LASS Polecat F5J/ALES will now be held from 6/14/2018 to 6/17/2018. Click http://flyesl.org/Contest.aspx?contestid=280 to review your registration for this contest. Registration for HRSF/BRASS-2 0 contest on 9/22/2018 is now open. Click http://www.flyesl.org/Contest.aspx?contestid=278 to register. Registration for LASS Polecat F5J/ALES 3 contest on 6/14/2018 is now open. Click http://flyesl.org/Contest.aspx?contestid=280 to register. Registration for Lacolle International ALES-F5J 3 contest on 8/24/2018 is now open. Click http://www.flyesl.org/Contest.aspx?contestid=284 to register. Registration for Horsefeathers-1 0 contest on 4/21/2018 is now open. Click http://www.flyesl.org/Contest.aspx?contestid=268 to register. Registration for RISC F5J 3 contest on 6/30/2018 is now open. Click http://www.flyesl.org/Contest.aspx?contestid=287 to register. Registration for Southern NH ALES 3 contest on 8/11/2018 is now open. Click http://www.flyesl.org/Contest.aspx?contestid=288 to register. Registration for RISC Red Rooster F5J 0 contest on 4/28/2018 is now open. Click http://flyesl.org/Contest.aspx?contestid=292 to register. Registration for SKSS Unlimited TD 0 contest on 6/9/2018 is now open. Click http://flyesl.org/Contest.aspx?contestid=271 to register. Registration for DESS East Coast Spring F5J Festival 3 contest on 4/7/2018 is now open. Click http://www.flyesl.org/Contest.aspx?contestid=290 to register. Registration for ESL ALES and F5J 3 contest on 6/1/2018 is now open. Click http://www.flyesl.org/Contest.aspx?contestid=282 to register. Registration for ESL @ DB #1 0 contest on 5/19/2018 is now open. Click http://www.flyesl.org/Contest.aspx?contestid=270 to register. ESL ALES and F5J will now be held from 6/1/2018 to 6/3/2018. Click http://www.flyesl.org/Contest.aspx?contestid=282 to review your registration for this contest. Registration for BRASS Unlimited 0 contest on 5/5/2018 is now open. Click http://www.flyesl.org/Contest.aspx?contestid=269 to register. Registration for SKSS Spring Fling 2018 1 contest on 5/19/2018 is now open. Click http://flyesl.org/Contest.aspx?contestid=291 to register. RISC F5J will now be held from 6/30/2018 to 7/1/2018. Click http://flyesl.org/Contest.aspx?contestid=287 to review your registration for this contest. RISC F5J will now be held from 9/1/2018 to 9/2/2018. Click http://flyesl.org/Contest.aspx?contestid=287 to review your registration for this contest. CRRC ALES will now be held from 7/14/2018 to 7/15/2018. Click http://flyesl.org/Contest.aspx?contestid=285 to review your registration for this contest. All scores have been posted for Bob Rondeau Memorial, Pumpkin ALES Festival. Click http://www.flyesl.org/Contests/ContestResults.aspx?contestid=253 to view the results. All scores have been posted for ESL EOS at Daniel Boone Homestead. Click http://www.flyesl.org/Contests/ContestResults.aspx?contestid=265 to view the results. All scores have been posted for HRSF/BRASS-2 Unlimited . Click http://www.flyesl.org/Contests/ContestResults.aspx?contestid=264 to view the results. All scores have been posted for SKSS Blue Hen ALES Challenge. Click http://flyesl.org/Contests/ContestResults.aspx?contestid=252 to view the results. All scores have been posted for ESL at Horsefeathers. Click http://www.flyesl.org/Contests/ContestResults.aspx?contestid=255 to view the results. All scores have been posted for DBSF. Click http://www.flyesl.org/Contests/ContestResults.aspx?contestid=260 to view the results. All scores have been posted for Skip Schow Memorial. Click http://www.flyesl.org/Contests/ContestResults.aspx?contestid=263 to view the results. All scores have been posted for RISC Unlimited. Click http://www.flyesl.org/Contests/ContestResults.aspx?contestid=262 to view the results. All scores have been posted for Southern NH ALES. Click http://flyesl.org/Contests/ContestResults.aspx?contestid=251 to view the results. All scores have been posted for SKSS Unlimited TD. Click http://www.flyesl.org/Contests/ContestResults.aspx?contestid=258 to view the results. All scores have been posted for CRRC ALES. Click http://flyesl.org/Contests/ContestResults.aspx?contestid=250 to view the results. Registration for Skip Schow Memorial 0 contest on 9/9/2017 is now open. Click http://flyesl.org/Contest.aspx?contestid=263 to register. All scores have been posted for LISF Unlimited. Click http://www.flyesl.com/Contests/ContestResults.aspx?contestid=259 to view the results. All scores have been posted for LASS Polecat ALES. Click http://flyesl.org/Contests/ContestResults.aspx?contestid=249 to view the results. Registration for CRRC ALES 3 contest on 7/15/2017 is now open. Click http://flyesl.com/Contest.aspx?contestid=250 to register. Registration for CRRC Soar-In 0 contest on 8/5/2017 is now open. Click http://flyesl.org/Contest.aspx?contestid=261 to register. All scores have been posted for ESL ALES . Click http://flyesl.org/Contests/ContestResults.aspx?contestid=248 to view the results. Registration for SKSS Blue Hen ALES Challenge 3 contest on 9/16/2017 is now open. Click http://www.flyesl.com/Contest.aspx?contestid=252 to register. Registration for RISC Unlimited 0 contest on 8/19/2017 is now open. Click http://www.flyesl.org/Contest.aspx?contestid=262 to register. Registration for Bob Rondeau Memorial, Pumpkin ALES Festival 3 contest on 10/14/2017 is now open. Click http://www.flyesl.org/Contest.aspx?contestid=253 to register. All scores have been posted for MASS Unlimited. Click http://www.flyesl.com/Contests/ContestResults.aspx?contestid=257 to view the results. Registration for HRSF/BRASS-2 Unlimited 0 contest on 9/23/2017 is now open. Click http://www.flyesl.org/Contest.aspx?contestid=264 to register. Registration for DBSF 0 contest on 7/8/2017 is now open. Click http://www.flyesl.com/Contest.aspx?contestid=260 to register. Registration for ESL EOS at Daniel Boone Homestead 0 contest on 10/7/2017 is now open. Click http://www.flyesl.com/Contest.aspx?contestid=265 to register. All scores have been posted for ESL at Horsefeathers. Click http://www.flyesl.com/Contests/ContestResults.aspx?contestid=255 to view the results. All scores have been posted for LISF ALES. Click http://flyesl.org/Contests/ContestResults.aspx?contestid=246 to view the results. All scores have been posted for BRASS Unlimited. Click http://www.flyesl.com/Contests/ContestResults.aspx?contestid=256 to view the results. Registration for Southern NH ALES 3 contest on 8/12/2017 is now open. Click http://www.flyesl.org/Contest.aspx?contestid=251 to register. ESL at Horsefeathers will now be held from 5/6/2017 to 5/7/2017. Click http://flyesl.org/Contest.aspx?contestid=255 to review your registration for this contest. BRASS Unlimited will now be held from 4/22/2017 to 4/23/2017. Click http://www.flyesl.org/Contest.aspx?contestid=256 to review your registration for this contest. Registration for SKSS Unlimited TD 0 contest on 6/10/2017 is now open. Click http://flyesl.org/Contest.aspx?contestid=258 to register. SKSS Blue Hen ALES Challenge will now be held from 9/16/2017 to 9/17/2017. Click http://www.flyesl.org/Contest.aspx?contestid=252 to review your registration for this contest. 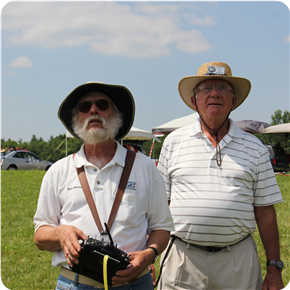 Registration for Lacolle International ALES-F5J @ Les Arpents vair RC Club (LACOLLE QUEBEC) Electric contest on 8/25/2017 is now open. Click http://www.flyesl.org/Contest.aspx?contestid=245 to register. All scores have been posted for No Fool Like an ALES Fool. Click http://flyesl.org/Contests/ContestResults.aspx?contestid=266 to view the results. Registration for MASS Unlimited Unlimited TD contest on 5/20/2017 is now open. Click http://flyesl.com/Contest.aspx?contestid=257 to register. Registration for ESL ALES Electric contest on 6/3/2017 is now open. Click http://www.flyesl.org/Contest.aspx?contestid=248 to register. Registration for ESL at Horsefeathers Unlimited TD contest on 4/22/2017 is now open. Click http://www.flyesl.org/Contest.aspx?contestid=255 to register. Registration for LASS Polecat ALES Electric contest on 6/17/2017 is now open. Click http://flyesl.org/Contest.aspx?contestid=249 to register. Registration for LISF Unlimited Unlimited TD contest on 6/24/2017 is now open. Click http://www.flyesl.org/Contest.aspx?contestid=259 to register. Registration for BRASS Unlimited Unlimited TD contest on 5/6/2017 is now open. Click http://www.flyesl.org/Contest.aspx?contestid=256 to register. Registration for LISF ALES Electric contest on 4/29/2017 is now open. Click http://www.flyesl.org/Contest.aspx?contestid=246 to register. DESS East Coast ALES will now be held from 3/31/2017 to 4/2/2017. Click http://flyesl.org/Contest.aspx?contestid=247 to review your registration for this contest. All scores have been posted for New England Great Pumpkin ALES Festival. Click http://flyesl.org/Contests/ContestResults.aspx?contestid=241 to view the results. ESL ALES at Daniel Boone Homestead will now be held from 6/3/2017 to 6/4/2017. Click http://flyesl.org/Contest.aspx?contestid=248 to review your registration for this contest. ESL at Horsefeathers will now be held from 4/22/2017 to 4/23/2017. Click http://flyesl.org/Contest.aspx?contestid=255 to review your registration for this contest. All scores have been posted for ESL EOS at Daniel Boone Homestead. Click http://flyesl.org/Contests/ContestResults.aspx?contestid=233 to view the results. All scores have been posted for ESL at Horsefeathers. Click http://flyesl.org/Contests/ContestResults.aspx?contestid=223 to view the results. All scores have been posted for Skip Schow Memorial. Click http://www.flyesl.com/Contests/ContestResults.aspx?contestid=231 to view the results. All scores have been posted for HRSF/BRASS-2 Unlimited . Click http://www.flyesl.com/Contests/ContestResults.aspx?contestid=232 to view the results. All scores have been posted for SKSS Blue Hen ALES Challenge. Click http://flyesl.org/Contests/ContestResults.aspx?contestid=240 to view the results. All scores have been posted for RISC Unlimited. Click http://flyesl.org/Contests/ContestResults.aspx?contestid=230 to view the results. All scores have been posted for Southern NH ALES. Click http://flyesl.org/Contests/ContestResults.aspx?contestid=239 to view the results. 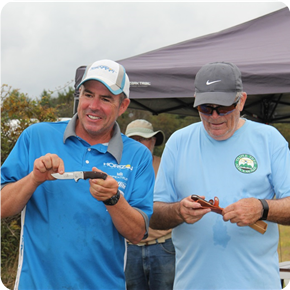 Registration for BASS f3k Hand Launch contest on 10/15/2016 is now open. Click http://www.flyesl.org/Contest.aspx?contestid=244 to register. All scores have been posted for CRRC Soar-In. Click http://www.flyesl.org/Contests/ContestResults.aspx?contestid=229 to view the results. Registration for Skip Schow Memorial Unlimited TD contest on 9/10/2016 is now open. Click http://flyesl.org/Contest.aspx?contestid=231 to register. All scores have been posted for CRRC ALES. Click http://flyesl.org/Contests/ContestResults.aspx?contestid=238 to view the results. All scores have been posted for DBSF. Click http://flyesl.org/Contests/ContestResults.aspx?contestid=228 to view the results. All scores have been posted for LISF Unlimited. Click http://www.flyesl.com/Contests/ContestResults.aspx?contestid=227 to view the results. Registration for New England Great Pumpkin ALES Festival Electric contest on 10/15/2016 is now open. Click http://www.flyesl.org/Contest.aspx?contestid=241 to register. All scores have been posted for Polecat ALES OPEN SOAR. Click http://flyesl.org/Contests/ContestResults.aspx?contestid=237 to view the results. All scores have been posted for SKSS Unlimited Thermal Duration/mixed. Click http://flyesl.org/Contests/ContestResults.aspx?contestid=226 to view the results. Registration for CRRC ALES Electric contest on 7/17/2016 is now open. Click http://flyesl.com/Contest.aspx?contestid=238 to register. CRRC ALES will now be held from 7/17/2016 to 7/17/2016. Click http://www.flyesl.org/Contest.aspx?contestid=238 to review your registration for this contest. Registration for CRRC Soar-In Unlimited TD contest on 8/6/2016 is now open. Click http://flyesl.com/Contest.aspx?contestid=229 to register. Registration for SKSS Blue Hen ALES Challenge Electric contest on 9/17/2016 is now open. Click http://flyesl.com/Contest.aspx?contestid=240 to register. All scores have been posted for DESS East Coast ALES. Click http://flyesl.org/Contests/ContestResults.aspx?contestid=235 to view the results. All scores have been posted for LISF ALES. Click http://flyesl.org/Contests/ContestResults.aspx?contestid=236 to view the results. Registration for Mid South Soaring Championship non-ESL contest on 5/27/2016 is now open. Click http://flyesl.org/Contest.aspx?contestid=243 to register. Registration for DESS East Coast ALES Electric contest on 4/2/2016 is now open. Click http://flyesl.org/Contest.aspx?contestid=235 to register. Registration for ESL at Horsefeathers Unlimited TD contest on 4/16/2016 is now open. Click http://flyesl.org/Contest.aspx?contestid=223 to register. Registration for HRSF/BRASS-2 Unlimited Unlimited TD contest on 9/24/2016 is now open. Click http://www.flyesl.org/Contest.aspx?contestid=232 to register. Registration for MASS Unlimited Unlimited TD contest on 5/21/2016 is now open. Click http://flyesl.org/Contest.aspx?contestid=225 to register. Registration for DBSF Unlimited TD contest on 7/9/2016 is now open. Click http://www.flyesl.com/Contest.aspx?contestid=228 to register. Registration for ESL EOS at Daniel Boone Homestead Unlimited TD contest on 10/8/2016 is now open. Click http://www.flyesl.com/Contest.aspx?contestid=233 to register. DESS East Coast ALES will now be held from 4/2/2016 to 4/3/2016. Click http://flyesl.org/Contest.aspx?contestid=235 to review your registration for this contest. Registration for SKSS Unlimited Unlimited TD contest on 6/11/2016 is now open. Click http://flyesl.org/Contest.aspx?contestid=226 to register. Registration for LISF Unlimited Unlimited TD contest on 6/25/2016 is now open. Click http://flyesl.org/Contest.aspx?contestid=227 to register. SKSS Blue Hen ALES Challenge will now be held from 9/17/2016 to 9/18/2016. Click http://flyesl.org/Contest.aspx?contestid=240 to review your registration for this contest. Registration for LISF ALES Electric contest on 4/23/2016 is now open. Click http://www.flyesl.org/Contest.aspx?contestid=236 to register. Registration for BRASS Unlimited Unlimited TD contest on 4/30/2016 is now open. Click http://flyesl.org/Contest.aspx?contestid=224 to register. Registration for SKSS Spring Fling 2016 Hand Launch contest on 5/14/2016 is now open. Click http://flyesl.org/Contest.aspx?contestid=242 to register. 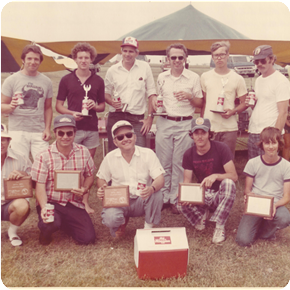 Registration for Southern NH ALES Electric contest on 8/20/2016 is now open. Click http://www.flyesl.org/Contest.aspx?contestid=239 to register. RISC Unlimited will now be held from 8/27/2016 to 8/28/2016. Click http://flyesl.org/Contest.aspx?contestid=230 to review your registration for this contest. New England Great Pumpkin ALES Festival will now be held from 10/10/2016 to 10/16/2016. Click http://flyesl.org/Contest.aspx?contestid=241 to review your registration for this contest. New England Great Pumpkin ALES Festival will now be held from 10/15/2016 to 10/16/2016. Click http://flyesl.org/Contest.aspx?contestid=241 to review your registration for this contest. 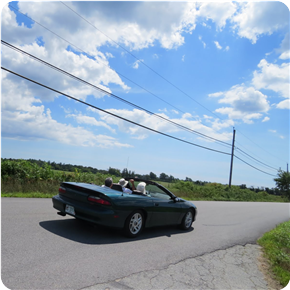 Registration for RISC Unlimited Unlimited TD contest on 8/27/2016 is now open. Click http://www.flyesl.org/Contest.aspx?contestid=230 to register. All scores have been posted for New England Great Pumpkin ALES Festival. Click http://flyesl.org/Contests/ContestResults.aspx?contestid=212 to view the results. All scores have been posted for ESL EOS. Click http://flyesl.org/Contests/ContestResults.aspx?contestid=214 to view the results. Registration for LISF - II (rescheduled) Unlimited TD contest on 10/3/2015 is now open. Click http://flyesl.org/Contest.aspx?contestid=222 to register. All scores have been posted for SKSS Blue Hen ALES Challenge. Click http://flyesl.org/Contests/ContestResults.aspx?contestid=211 to view the results. All scores have been posted for CASA F3K 2015 . Click http://www.flyesl.org/Contests/ContestResults.aspx?contestid=219 to view the results. All scores have been posted for Baltimore Area Soaring Association (BASS) DLG 2015. Click http://www.flyesl.org/Contests/ContestResults.aspx?contestid=216 to view the results. All scores have been posted for Southern NH ALES. Click http://flyesl.org/Contests/ContestResults.aspx?contestid=210 to view the results. All scores have been posted for Skip Schow Memorial. Click http://flyesl.org/Contests/ContestResults.aspx?contestid=209 to view the results. All scores have been posted for CRRC ALES. Click http://flyesl.org/Contests/ContestResults.aspx?contestid=204 to view the results. All scores have been posted for Atlantic City E-Soaring Classic. Click http://flyesl.org/Contests/ContestResults.aspx?contestid=208 to view the results. Skip Schow Memorial will now be held from 9/12/2015 to 9/13/2015. Click http://www.flyesl.com/Contest.aspx?contestid=209 to review your registration for this contest. All scores have been posted for RISC. Click http://flyesl.org/Contests/ContestResults.aspx?contestid=207 to view the results. All scores have been posted for CRRC Soar-In. Click http://flyesl.org/Contests/ContestResults.aspx?contestid=205 to view the results. All scores have been posted for CRRC ALES. Click http://www.flyesl.org/Contests/ContestResults.aspx?contestid=204 to view the results. All scores have been posted for SKSS. Click http://flyesl.org/Contests/ContestResults.aspx?contestid=200 to view the results. All scores have been posted for DBSF. Click http://flyesl.org/Contests/ContestResults.aspx?contestid=203 to view the results. Registration for Southern NH ALES Electric contest on 9/12/2015 is now open. Click http://www.flyesl.org/Contest.aspx?contestid=210 to register. Registration for BASS ALES Electric contest on 8/15/2015 is now open. Click http://www.flyesl.org/Contest.aspx?contestid=221 to register. Skip Schow Memorial will now be held from 9/11/2015 to 9/13/2015. Click http://www.flyesl.org/Contest.aspx?contestid=209 to review your registration for this contest. Registration for Horsefeathers Unlimited Unlimited TD contest on 9/12/2015 is now open. Click http://www.flyesl.org/Contest.aspx?contestid=209 to register. All scores have been posted for CAMS, Polecat, Soaring Circuits ALES OPEN SOAR. Click http://www.flyesl.org/Contests/ContestResults.aspx?contestid=201 to view the results. All scores have been posted for South Jersey Silent Flyers ALES. Click http://www.flyesl.org/Contests/ContestResults.aspx?contestid=199 to view the results. Registration for SKSS Blue Hen ALES Challenge Electric contest on 9/19/2015 is now open. Click http://www.flyesl.com/Contest.aspx?contestid=211 to register. All scores have been posted for Spring Fling 2015. Click http://flyesl.org/Contests/ContestResults.aspx?contestid=197 to view the results. All scores have been posted for ESL at Horsefeathers. Click http://flyesl.org/Contests/ContestResults.aspx?contestid=196 to view the results. ESL at Horsefeathers will now be held from 5/16/2015 to 5/17/2015. Click http://flyesl.org/Contest.aspx?contestid=196 to review your registration for this contest. Registration for CRRC ALES Electric contest on 7/18/2015 is now open. Click http://www.flyesl.org/Contest.aspx?contestid=204 to register. Registration for CASA F3K 2015 Hand Launch contest on 8/15/2015 is now open. Click http://flyesl.org/Contest.aspx?contestid=219 to register. All scores have been posted for Rhode Island ALES. Click http://www.flyesl.org/Contests/ContestResults.aspx?contestid=195 to view the results. Registration for CRRC Soar-In Unlimited TD contest on 8/8/2015 is now open. Click http://flyesl.com/Contest.aspx?contestid=205 to register. All scores have been posted for HRSF/BRASS Unlimited. Click http://flyesl.org/Contests/ContestResults.aspx?contestid=194 to view the results. All scores have been posted for MASS Unlimited. Click http://flyesl.org/Contests/ContestResults.aspx?contestid=191 to view the results. Registration for 2015 Soaring National Championships (NATS) non-ESL contest on 7/25/2015 is now open. Click http://www.flyesl.org/Contest.aspx?contestid=218 to register. All scores have been posted for LISF ALES. Click http://www.flyesl.org/Contests/ContestResults.aspx?contestid=193 to view the results. All scores have been posted for DESS East Coast ALES. Click http://www.flyesl.org/Contests/ContestResults.aspx?contestid=192 to view the results. Registration for CAMS, Polecat, Soaring Circuits ALES OPEN SOAR Electric contest on 6/20/2015 is now open. Click http://www.flyesl.org/Contest.aspx?contestid=201 to register. 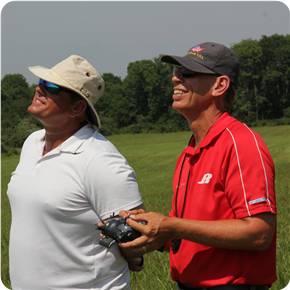 Registration for Baltimore Area Soaring Association (BASS) DLG 2015 Hand Launch contest on 6/6/2015 is now open. Click http://www.flyesl.org/Contest.aspx?contestid=216 to register. ESL at Horsefeathers will now be held from 5/15/2015 to 5/17/2015. Click http://www.flyesl.org/Contest.aspx?contestid=196 to review your registration for this contest. Registration for ESL at Horsefeathers Unlimited TD contest on 5/16/2015 is now open. Click http://www.flyesl.org/Contest.aspx?contestid=196 to register. Registration for SKSS Unlimited TD contest on 6/13/2015 is now open. Click http://flyesl.org/Contest.aspx?contestid=200 to register. SKSS Blue Hen ALES Challenge will now be held from 9/19/2015 to 9/20/2015. Click http://www.flyesl.com/Contest.aspx?contestid=211 to review your registration for this contest. ESL EOS will now be held from 10/10/2015 to 10/11/2015. Click http://flyesl.org/Contest.aspx?contestid=214 to review your registration for this contest. Registration for Atlantic City E-Soaring Classic Electric contest on 8/29/2015 is now open. Click http://www.flyesl.org/Contest.aspx?contestid=208 to register. Registration for ESL EOS Unlimited TD contest on 10/10/2015 is now open. Click http://flyesl.org/Contest.aspx?contestid=214 to register. Registration for DBSF Unlimited TD contest on 7/11/2015 is now open. Click http://flyesl.org/Contest.aspx?contestid=203 to register. Registration for DESS East Coast ALES Electric contest on 4/18/2015 is now open. Click http://www.flyesl.org/Contest.aspx?contestid=192 to register. Registration for HRSF/BRASS Unlimited Unlimited TD contest on 5/2/2015 is now open. Click http://www.flyesl.org/Contest.aspx?contestid=194 to register. Registration for MASS Unlimited Unlimited TD contest on 4/18/2015 is now open. Click http://www.flyesl.org/Contest.aspx?contestid=191 to register. Registration for SKSS Spring Fling Hand Launch contest on 5/16/2015 is now open. Click http://flyesl.com/ContestRegistrationAdmin.aspx?contestid=197 to register. Registration for South Jersey Silent Flyers ALES Electric contest on 6/6/2015 is now open. Click http://www.flyesl.com/Contest.aspx?contestid=199 to register. Registration for New England Great Pumpkin ALES Festival Electric contest on 10/17/2015 is now open. Click http://www.flyesl.org/Contest.aspx?contestid=212 to register. Registration for Rhode Island ALES Electric contest on 5/9/2015 is now open. Click http://www.flyesl.org/Contest.aspx?contestid=195 to register. Registration for RISC Unlimited TD contest on 8/22/2015 is now open. Click http://www.flyesl.org/Contest.aspx?contestid=207 to register. Registration for LISF-1 Unlimited TD contest on 6/27/2015 is now open. Click http://www.flyesl.org/Contest.aspx?contestid=202 to register. Registration for LISF ALES Electric contest on 4/25/2015 is now open. Click http://www.flyesl.org/Contest.aspx?contestid=193 to register. Registration for LISF-2 Unlimited TD contest on 9/26/2015 is now open. Click http://www.flyesl.org/Contest.aspx?contestid=213 to register. New England Great Pumpkin ALES Festival will now be held from 10/17/2015 to 10/18/2015. Click http://www.flyesl.org/Contest.aspx?contestid=212 to review your registration for this contest. All scores have been posted for New England Great Pumpkin ALES Festival. Click http://www.flyesl.org/Contests/ContestResults.aspx?contestid=180 to view the results. All scores have been posted for DESS/HLG End of Season. Click http://flyesl.org/Contests/ContestResults.aspx?contestid=176 to view the results. All scores have been posted for ESL EOS. Click http://flyesl.org/Contests/ContestResults.aspx?contestid=171 to view the results. All scores have been posted for SKSS Annual Blue Hen ALES Challenge. Click http://www.flyesl.org/Contests/ContestResults.aspx?contestid=183 to view the results. All scores have been posted for LISF-2. Click http://flyesl.org/Contests/ContestResults.aspx?contestid=170 to view the results. All scores have been posted for Southern NH ALES. Click http://www.flyesl.org/Contests/ContestResults.aspx?contestid=178 to view the results. All scores have been posted for Horsefeathers Unlimted. Click http://flyesl.org/Contests/ContestResults.aspx?contestid=169 to view the results. All scores have been posted for Atlantic City E-Soaring Classic. Click http://www.flyesl.org/Contests/ContestResults.aspx?contestid=182 to view the results. All scores have been posted for RISC. Click http://flyesl.org/Contests/ContestResults.aspx?contestid=168 to view the results. All scores have been posted for CASA HLG. Click http://flyesl.org/Contests/ContestResults.aspx?contestid=175 to view the results. All scores have been posted for CASA HLG. Click http://www.flyesl.org/Contests/ContestResults.aspx?contestid=175 to view the results. All scores have been posted for CRRC Soar-In. Click http://flyesl.org/Contests/ContestResults.aspx?contestid=160 to view the results. All scores have been posted for Long Island Hand Launch Classic (LISF). Click http://www.flyesl.org/Contests/ContestResults.aspx?contestid=174 to view the results. All scores have been posted for BASS DHLG. Click http://www.flyesl.org/Contests/ContestResults.aspx?contestid=185 to view the results. All scores have been posted for San Felasco HLG festival. Click http://www.flyesl.org/Contests/ContestResults.aspx?contestid=188 to view the results. Registration for DESS/HLG End of Season Hand Launch contest on 10/11/2014 is now open. Click http://flyesl.org/Contest.aspx?contestid=176 to register. All scores have been posted for CRRC ALES. Click http://www.flyesl.org/Contests/ContestResults.aspx?contestid=186 to view the results. All scores have been posted for DBSF. Click http://flyesl.org/Contests/ContestResults.aspx?contestid=166 to view the results. Registration for ESL EOS Unlimited TD contest on 10/4/2014 is now open. Click http://www.flyesl.com/Contest.aspx?contestid=171 to register. All scores have been posted for Rhode Island ALES. Click http://www.flyesl.org/Contests/ContestResults.aspx?contestid=179 to view the results. Registration for Horsefeathers Unlimted Unlimited TD contest on 9/6/2014 is now open. Click http://flyesl.org/Contest.aspx?contestid=169 to register. All scores have been posted for LISF-1. Click http://www.flyesl.com/Contests/ContestResults.aspx?contestid=165 to view the results. All scores have been posted for CAMS, Polecat, Soaring Circuits ALES OPEN SOAR. Click http://www.flyesl.org/Contests/ContestResults.aspx?contestid=177 to view the results. Registration for SKSS ALES Electric contest on 9/27/2014 is now open. Click http://www.flyesl.com/Contest.aspx?contestid=183 to register. Registration for Southern NH ALES Electric contest on 9/13/2014 is now open. Click http://www.flyesl.org/Contest.aspx?contestid=178 to register. All scores have been posted for SKSS. Click http://flyesl.org/Contests/ContestResults.aspx?contestid=164 to view the results. Registration for DBSF Unlimited TD contest on 7/12/2014 is now open. Click http://www.flyesl.com/Contest.aspx?contestid=166 to register. All scores have been posted for South Jersey Silent Flyers Unlimited ALES. Click http://www.flyesl.org/Contests/ContestResults.aspx?contestid=190 to view the results. All scores have been posted for ESL at Horsefeathers. Click http://www.flyesl.org/Contests/ContestResults.aspx?contestid=163 to view the results. Registration for South Jersey Silent Flyers Unlimited ALES Electric contest on 5/24/2014 is now open. Click http://www.flyesl.com/Contest.aspx?contestid=190 to register. All scores have been posted for HRSF/BRASS Unlimited!. Click http://www.flyesl.org/Contests/ContestResults.aspx?contestid=162 to view the results. Registration for CRRC ALES Electric contest on 7/19/2014 is now open. Click http://www.flyesl.org/Contest.aspx?contestid=186 to register. All scores have been posted for East Coast ALES Festival. Click http://www.flyesl.org/Contests/ContestResults.aspx?contestid=181 to view the results. All scores have been posted for MASS Unlimited. Click http://flyesl.org/Contests/ContestResults.aspx?contestid=161 to view the results. DESS/HLG End of Season will now be held from 10/11/2014 to 10/12/2014. Click http://flyesl.org/Contest.aspx?contestid=176 to review your registration for this contest. Registration for SKSS Unlimited TD contest on 6/7/2014 is now open. Click http://flyesl.org/Contest.aspx?contestid=164 to register. Registration for MASS Unlimited Unlimited TD contest on 4/12/2014 is now open. Click http://flyesl.com/Contest.aspx?contestid=161 to register. Registration for ESL at Horsefeathers Unlimited TD contest on 5/17/2014 is now open. Click http://www.flyesl.org/Contest.aspx?contestid=163 to register. Registration for CRRC Soar-In Unlimited TD contest on 8/9/2014 is now open. Click http://flyesl.com/Contest.aspx?contestid=160 to register. Registration for New England Great Pumpkin ALES Festival Electric contest on 10/11/2014 is now open. Click http://www.flyesl.org/Contest.aspx?contestid=180 to register. Registration for Newark, DE Hand Launch contest on 5/17/2014 is now open. Click http://flyesl.com/Contest.aspx?contestid=172 to register. Registration for Rhode Island ALES Electric contest on 6/28/2014 is now open. Click http://www.flyesl.org/Contest.aspx?contestid=179 to register. Registration for RISC Unlimited TD contest on 8/23/2014 is now open. Click http://www.flyesl.org/Contest.aspx?contestid=168 to register. Registration for CASA HLG Hand Launch contest on 8/16/2014 is now open. Click http://flyesl.org/Contest.aspx?contestid=175 to register. Registration for LISF HLG Hand Launch contest on 8/2/2014 is now open. Click http://flyesl.org/Contest.aspx?contestid=174 to register. Registration for BASS DHLG Hand Launch contest on 5/31/2014 is now open. Click http://flyesl.org/Contest.aspx?contestid=185 to register. Registration for San Felasco HLG festival Hand Launch contest on 2/8/2014 is now open. Click http://flyesl.org/Contest.aspx?contestid=188 to register. Registration for LISF-1 Unlimited TD contest on 6/21/2014 is now open. Click http://www.flyesl.org/Contest.aspx?contestid=165 to register. Registration for LISF-2 Unlimited TD contest on 9/20/2014 is now open. Click http://www.flyesl.org/Contest.aspx?contestid=170 to register. Registration for HRSF/BRASS Unlimited! Unlimited TD contest on 5/3/2014 is now open. Click http://www.flyesl.com/Contest.aspx?contestid=162 to register. Registration for LISF ALES Electric contest on 5/24/2014 is now open. Click http://www.flyesl.org/Contest.aspx?contestid=187 to register. Registration for Atlantic City E-Soaring Classic Electric contest on 8/30/2014 is now open. Click http://www.flyesl.org/Contest.aspx?contestid=182 to register. Registration for East Coast ALES Festival Electric contest on 3/29/2014 is now open. Click http://www.flyesl.org/Contest.aspx?contestid=181 to register. Registration for CAMS, Polecat, Soaring Circuits ALES OPEN SOAR Electric contest on 6/14/2014 is now open. Click http://flyesl.org/Contest.aspx?contestid=177 to register. All scores have been posted for ESL End of Season. Click http://flyesl.org/Contests/ContestResults.aspx?contestid=153 to view the results. All scores have been posted for East Coast Hand Launch Festival. Click http://flyesl.org/Contests/ContestResults.aspx?contestid=156 to view the results. All scores have been posted for LISF 2. Click http://flyesl.org/Contests/ContestResults.aspx?contestid=152 to view the results. All scores have been posted for CASA Memorial. Click http://flyesl.com/Contests/ContestResults.aspx?contestid=150 to view the results. All scores have been posted for MARKS. Click http://www.flyesl.org/Contests/ContestResults.aspx?contestid=151 to view the results. All scores have been posted for ESL Mid-season @ Daniel Boone Homestead. Click http://flyesl.com/Contests/ContestResults.aspx?contestid=149 to view the results. All scores have been posted for CASA HLG. Click http://www.flyesl.org/Contests/ContestResults.aspx?contestid=148 to view the results. All scores have been posted for CRRC Soar-In. Click http://flyesl.org/Contests/ContestResults.aspx?contestid=147 to view the results. All scores have been posted for CRRC Hand Launch Classic. Click http://www.flyesl.org/Contests/ContestResults.aspx?contestid=144 to view the results. All scores have been posted for (LISF) Long Island Hand Launch Classic. Click http://flyesl.org/Contests/ContestResults.aspx?contestid=146 to view the results. All scores have been posted for HRSF/BRASS. Click http://flyesl.org/Contests/ContestResults.aspx?contestid=139 to view the results. All scores have been posted for MARKS. Click http://flyesl.org/Contests/ContestResults.aspx?contestid=151 to view the results. All scores have been posted for DBSF. Click http://www.flyesl.org/Contests/ContestResults.aspx?contestid=145 to view the results. All scores have been posted for LISF 1. Click http://flyesl.org/Contests/ContestResults.aspx?contestid=143 to view the results. All scores have been posted for SKSS. Click http://flyesl.org/Contests/ContestResults.aspx?contestid=142 to view the results. Registration for CRRC Hand Launch Classic Hand Launch contest on 7/6/2013 is now open. Click http://www.flyesl.org/Contest.aspx?contestid=144 to register. All scores have been posted for BASS Hand Launch Contest. Click http://flyesl.org/Contests/ContestResults.aspx?contestid=154 to view the results. All scores have been posted for Rhode Island Soaring Club. Click http://flyesl.org/Contests/ContestResults.aspx?contestid=157 to view the results. All scores have been posted for ESL at Horsefeathers. Click http://www.flyesl.org/Contests/ContestResults.aspx?contestid=141 to view the results. All scores have been posted for ESL at Horsefeathers. Click http://flyesl.org/Contests/ContestResults.aspx?contestid=141 to view the results. Registration for CRRC Soar-In Unlimited TD contest on 8/10/2013 is now open. Click http://www.flyesl.com/Contest.aspx?contestid=147 to register. Registration for Rhode Island Soaring Club Unlimited TD contest on 6/1/2013 is now open. Click http://flyesl.org/Contest.aspx?contestid=157 to register. Registration for CASA HLG Hand Launch contest on 8/17/2013 is now open. Click http://www.flyesl.org/Contest.aspx?contestid=148 to register. Registration for LISF 1 Unlimited TD contest on 6/22/2013 is now open. Click http://www.flyesl.org/Contest.aspx?contestid=143 to register. Registration for LISF 2 Unlimited TD contest on 9/21/2013 is now open. Click http://www.flyesl.org/Contest.aspx?contestid=152 to register. Registration for SKSS Unlimited TD contest on 6/8/2013 is now open. Click http://www.flyesl.org/Contest.aspx?contestid=142 to register. Registration for MARKS Hand Launch contest on 7/13/2013 is now open. Click http://www.flyesl.com/Contest.aspx?contestid=151 to register. Registration for ESL Mid-season @ Daniel Boone Homestead Unlimited TD contest on 8/24/2013 is now open. Click http://flyesl.com/Contest.aspx?contestid=149 to register. Registration for ESL End of Season Unlimited TD contest on 10/5/2013 is now open. Click http://flyesl.com/Contest.aspx?contestid=153 to register. Registration for DBSF Unlimited TD contest on 7/13/2013 is now open. Click http://flyesl.com/Contest.aspx?contestid=145 to register. MARKS will now be held from 7/13/2013 to 7/14/2013. Click http://www.flyesl.com/Contest.aspx?contestid=151 to review your registration for this contest. MARKS will now be held from 8/24/2013 to 8/25/2013. Click http://www.flyesl.com/Contest.aspx?contestid=151 to review your registration for this contest. Registration for SKSS Spring Fling Hand Launch contest on 5/18/2013 is now open. Click http://www.flyesl.org/Contest.aspx?contestid=140 to register. Registration for BASS Hand Launch Contest Hand Launch contest on 6/1/2013 is now open. Click http://www.flyesl.org/Contest.aspx?contestid=154 to register. Registration for HRSF/BRASS Unlimited TD contest on 7/27/2013 is now open. Click http://flyesl.org/Contest.aspx?contestid=139 to register. Login now and check out the new features available for members only. The League Roster page will help you contact other league members by email or phone (for those members willing to share). The Photo Gallery is now available for browsing, annotation, and upload. For those that are inclined, you can upload directly from your phone or tablet any photo less than 8MB in size. The upload process will resize it for the home page, and help you compose the cropped area. Hopefully the web site building season is done, and I can get busy in the basement. There is a long list of things to do before spring! The minutes of the 2012 Eastern Soaring League business meeting have been posted. Most of the changes address minor bugs when using the "Preview Seeded Round" feature for SMOM contests. Also, a new report has been added via "Print", "Scoring Detail" that shows the group assignments and scoring details for the entire contest. The scores from the BRASS/HRSF Season Opener are now posted along with the 2012 standings. The last group of the last round, as is so common, decided the Sunday contest. I will only say "WOW!!" Amazing flying in extremely tough conditions by the best of ESL! I was timing for Neal and felt the thrill of victory and the agony of defeat at least 10 times in that one flight! It was that tough and that dramatic. See you all in Warrenton in two weeks. I'm sure more drama awaits us. Steve Lucke is guaranteeing perfect weather for that contest. I'm sure he is right; Mother nature threw enough moisture at us this last weekend. I heard the ESL pilots emptied out the Wal-Mart waterproof boot supply on Saturday night! Announcing a new discussion area in the ESL forums. The topic is Radio Systems. Since we spend so much time with our radios in our hands, adjusting, tuning and otherwise optimizing our radio systems, let's have a special place to discuss these topics. Please take time to visit and to share your knowledge or ask your questions. The article from the April ESL Newsletter on upgrading from 72 MHz to 2.4 GHz is the first entry. Feel free to create other discussions. The website is now ready for the 2012 season. If you browse around a bit you'll find standings, contest results, and advancement and improvement pages. Thanks to Luis we also have all the results uploaded going back to 2009. The ESL website has several new features this year designed to improve the experience for both contestants and contest directors. CD's of both Hand Launch and Unlimited contests will be able to easily import the registered pilots list directly into the preferred scoring programs (F3KScore and ESLScore). At the conclusion of the contest, CD's can post scores directly onto the website, but they won't be publicly viewable until reviewed and approved by Luis. The integration of the forum with the main web site is complete! There is now a "Forum Sandbox" at http://www.flyesl.org/forums/forum.asp?FORUM_ID=19. If you are unsure about how the forum works, just go to the sandbox and exeriment with adding replies and starting new topics. As always, tell your friends if it works and let me know if it doesn't. This morning was spent investigating the intermittent errors that many of you early adopters have reported on the website. The good news is that I've discovered where they are being logged (and how to view the log), some common causes, and possibly how to fix them. Bottom line: I made some changes, and I'm hopeful that they will address the issue. Because the site is hosted on a shared server it is likely that sometimes reponse will be quick and sometimes it will be slow. But we should not have been getting as many errors as we have up to now. My thanks again go out to the early users. Keep testing, and spread the word to others if you like what you see. Please continue to let me know if you don't like what you see or have issues. Today I added some code to better integrate the contest registration user database with the forum database. Now when you register your id and password will be synchronized with the forum. Unfortunately, you'll still have to login to post, but your id and password will be the same as the home page. Those users who have already completed the initial registration process will need to change their password to get their forum id and password in sync. (First login, then click the Profile button, then the 'Change Password' link at the bottom). If you currently have a password that you really like, first change it, then change it back. Also, several users have reported intermittent "... module not available" error messages. I'm looking into it, but for now just refresh the page. Announcing - Web site signup and contest registration! Woo Hoo! The code for ESL contest signup is now available for testing. Hopefully you won't find too many bugs or issues, but I want to know about it if you do. Please take a few minutes to get a login and register for the April Fool's contest. Any club in the Eastern Soaring League geography can host an ESL contest weekend. There is no membership fee for the club or the pilots who fly in the ESL. For Hand Launched/DLG/F3K, the geography is any state East of the Mississippi. For TD/winch launched contests the states are MA, RI, CT, NY, NJ, PA, DE, MD or VA. The smaller area for TD is due to the logistics needed to move winches and related support equipment around the league. At the end of season contest the ESL provides awards for the top 10 pilots in each division as well as a top combined pilot who flew at least 4 contests in each division. You can host more than one contest weekend. For example our club, the Long Island Silent Flyers, http://www.lisf.org , hosts 3 ESL contests weekends a year, or four TD and two HL contests each season. You will see them listed as LISF 1, LISF 2 and the Long Island Hand Launched Classic. These three contest weekends are major events for our club. We totally enjoy them and look forward to them every year. Our TD contests typically have 25 to 40 pilots and our HL contest typically has 15 to 20 pilots. Hosting ESL contests really boosts interest in soaring at our club. The pilots who fly the ESL contests tend to advance in their skills more quickly. Pilots get to meet and make friends with pilots from other states, forming a network of relationships that would not have occurred without the ESL contests. In 2010 our two ESL Hand Launched contests were also recognized as qualifying contests for the US F3K team that will compete in Sweden in 2011. I am proud to say one of our pilots made the team and placed Third in his class and his team placed first in the world in their class. If he had not flown in the ESL he might never have approached that skill level. Perhaps your club would like to host an Eastern Soaring League contest weekend too. If you would like to discuss our experience as an ESL host club feel free to contact me at aeajr@optonline.net . The site now has some more users. The officers have been registered and can log in. Which of them will figure out how to update their profile and make their addresses and phone number public? Which of them will figure out how to make an announcement, or upload a new photo for the home page? Do any of them care? I'm looking for some feedback on the home page photos. I picked out a few that I thought were interesting from those available in the forum. A couple of them aren't great photo quality, but I thought the content was interesting. I'd love to have make more photos available (both new and old). Ideally they would be 300 x 300 pixels, but if you have a great photo and don't know how to size it, just send what you have to webmaster@flyesl.org. Things are just getting started here at the new website of the ESL. There is a lot to do before the site will be 'prime time', but you can always check the home page for the latest news from any of the ESL officers. The forum from the old website has been migrated here, so check it out and let me know if anything is missing or not working properly. "Lancaster Area Soaring Society (LASS)"
This is actually from July 1976. What a great day for cross country soaring. Anker is piloting from the front seat while Luis does the spotting and Dave drives. Standings not yet available for the 2019 season.